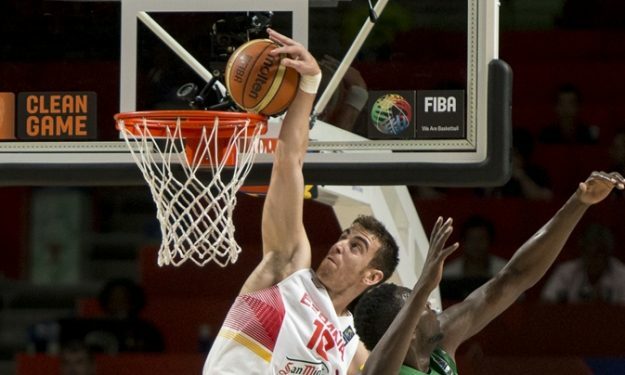 In the strangest summer domino, Victor Claver is ready to sign for next season with Lokomotiv Kuban, which has released Brian Randle who is expected to return to Maccabi Tel Aviv. Claver had a deal with Laboral Kutxa, but Valencia using the right of “tanteo” matched the offer and kept his rights for Liga Endesa. Laboral Kutxa obviously wasn’t eager to pay a buy out to Valencia, but the Spanish forward didn’t want to play in his old team. According to Spanish reports, he didn’t want to play in a team which next season will compete in Eurocup. That’s why his way out is to sign outside the Spanish borders and he is about to do it for Lokomotiv Kuban, which competes in Euroleague. Meanwhile Randle failed the medical exams of Lokomotiv Kuban, his deal has been voided, but he is expected to return to Maccabi Tel Aviv, his last season team, which still has space for him in its roster.